All courses and workshops are subject to availability. In this short workshop I’ll show you some practical, simple and profound ways to enhance your mental, emotional and physical health through meditation and mindful living. 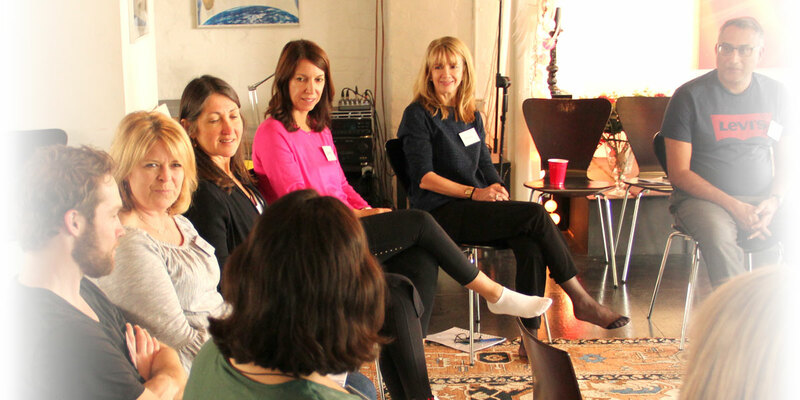 This experiential workshop will provide you with a comprehensive manual, audio recordings and a personal plan to get started right away on your journey to living with less stress and more ease and peace in your life. This year I have a wish for you – that you stop being frustrated by fruitless New Year resolutions and implement a process that will propel you easily towards your authentic dreams and desires. Yes, it’s time to stop beating yourself up because the same unfulfilled hopes and dreams are coming around again! Join me for my fun filled, inspirational workshop and Vision Board Plus. iRest meditation is taught worldwide in corporations, prisons, schools, military hospitals and to the public. Its profound teachings will give you skills for life that will enable you to manage such things as stress, anxiety, fear, depression, insomnia, pain and other challenging emotions. This eight-week course comes with a comprehensive manual and 7 beautiful meditation recordings for your ongoing use at home. Are you a woman who yearns to walk taller, have more emotional resilience, live as your genuine self and get in touch with your hearts deepest desires and your feminine potential? Would you like to re-acquaint yourself with your full capacity to be seen and heard and to reach your goals with less push and drive and more confidence and inner trust. Flow is an hour-long class combining, gentle Yoga, Pilates, stretch, relaxation and meditation. It is holistic in nature and deeply restorative. Taught in a small and friendly environment you will walk away from this class feeling supple, calm and relaxed and feeling two inches taller! Please contact Ruth for general enquiries about other events. Please only click "Send" once. It may take a few moments to send your email.